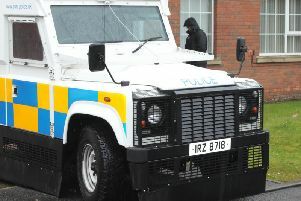 The car a Tandragee man was driving when he had an accident and left the scene was ordered to be forfeited last Wednesday at Craigavon Magistrates Court. David Whitten (30), Austin Drive, Tandragee, was fined £75 for driving without due care and attention on October 4 last year. He was also fined £100, with five points, for failing to remain at the scene and £100 for failing to report an accident. District Judge, Mrs Bernie Kelly, ordered that the VW Golf Whitten was driving should be forfeited. Police received a report of a one vehicle road traffic accident and that the driver had left the scene. A solicitor for Whitten said that his instructions were that a badger ran out and he swerved to avoid it. He had to swerve again to avoid an oncoming car, lost control and went into the pillar. She said the defendant had been driving for 13 years and had never been in trouble for any road traffic collision. On this occasion he panicked.